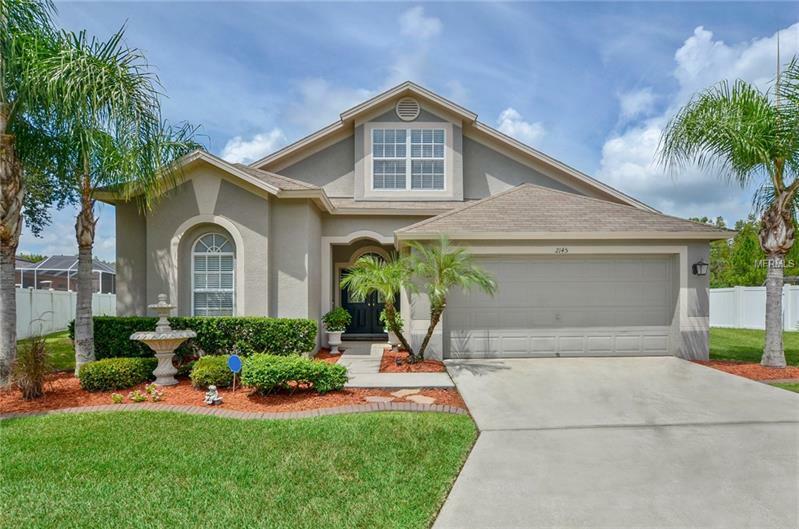 Stunning four bedroom, two bath pool home with large bonus room on one of Meadow Pointeâs finest homesites. Almost 2500 square feet of living space. Located in a cul-de-sac. Split floor plan. Huge pie shaped conservation and pond lot. Enter through the leaded glass double door entry. Tastefully decorated throughout. High-quality engineered hard wood floors in entry, living room, dining room, family room, kitchen, casual dining area, master bedroom and two more bedrooms. Ceramic tile in bathrooms and laundry. The kitchen features 42â maple cabinetry, gas range, built-in microwave, stainless steel French door refrigerator, wine rack, generous pantry & breakfast bar. Large casual dining area adjacent to kitchen overlooks pool and view. The master suite with an on-suite bathroom includes a large walk-in closet, double vanity, decorator mirrors, garden tub, separate walk-in shower and private water closet. Other upgrades include 5 Â¼ inch baseboards, storage in separate laundry and under stairs, two Trane AC systems, arches, niches new pool pump and filter system, a fully renovated second bathroom, gas water heater and much more. The outdoor space is a real tropical oasis. Sparkling pool with raised beam and water feature, pavered walkway, basketball court and deck, covered lanai and fenced yard. Gated community. Tremendous location minutes to top-rated schools, Shoppes at Wiregrass, the new Premium Outlet Mall, recreation, Florida Hospital and I-75. Pride of ownership very evident. Hurry!